Canada needs a federal champion for active modes of transportation such as cycling and walking. At present, no federal minister has been assigned responsibility for supporting active transportation in this country. Mandate letters, used to set priorities for federal ministers, make no mention of active transportation. This is a problem for so many reasons! Active transportation is good for health! Chronic diseases such as cardiovascular disease, cancer, chronic respiratory diseases, and diabetes affect one in five Canadians and are the cause of 65% of all deaths in Canada. They cost Canadians about $200 billion per year in lost-time and health care costs. And the rate of chronic diseases is rising rapidly; by about 14% per year. Physical inactivity is one of the leading risk factors for chronic diseases. Today, only one in five Canadian adults and one in ten Canadian children get the levels of physical activity needed to maintain good health. 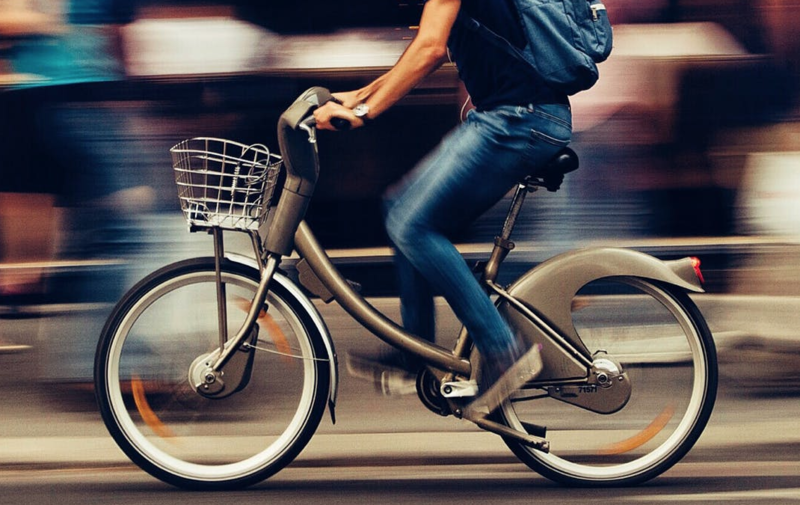 Active transportation is an effective way to increase levels of physical activity because it allows people who have little free time to accomplish two tasks at one time. They can “get exercise” while commuting to work or school. People who walk or cycle to work live longer, healthier lives. A five-year study conducted in the UK found that people who walk to work reduce their risk of dying prematurely from cardiovascular disease by 36%. It found that people who cycle to work reduce their risk of dying prematurely from cardiovascular disease, cancer, and all causes by 40 to 46%. There is no drug in the world that can deliver that kind of health benefit! Active transportation reduces emissions of air pollutants. Air pollution kills tens of thousands of Canadians each year. In cities, vehicles are often the most significant source of air pollution. In Toronto, for example, it is estimated that 440 people will die prematurely and 1,700 people will be hospitalized each year because of traffic-related air pollution. By encouraging people to replace short car trips with walking and cycling trips, we can reduce air pollution, and the heart and lung diseases, hospital admissions, and early deaths related to it. Active transportation reduces greenhouse gases (GHGs) that contribute to climate change. Climate change has been declared the most significant public health threat of the 21st century by the World Health Organization. This summer, 45,000 Canadians were evacuated from their homes by wildfires that have grown in frequency and intensity because of higher temperatures and longer droughts related to climate change. Active transportation can reduce GHGs by reducing the number of vehicles on the road. One study estimated that GHGs from vehicles in San Francisco could be reduced by 14% if people in the community increased the number of minutes spent walking and cycling for shorter trips from 4.5 to 22 minutes per day. Investing in active transportation will produce many other co-benefits. It can reduce sedentary behaviour and obesity in children. It will reduce traffic injuries and deaths among pedestrians and cyclists. It can increase social equity by making it easier for women, teenagers, seniors, and people who live on low incomes, to access jobs and services. It can boost the economy by promoting tourism and local retailers. It can reduce traffic congestion. It can reduce health care costs!! There are many things that federal government could and should do to foster active transportation in Canada. It should: share gas tax transfers for active mobility; identify a modal share goal for Canada; create a dedicated active transportation infrastructure fund; and invest in cycling tourism; mandate side guards on large trucks; direct Statistics Canada to improve the data collected on cycling; incent the use of e-bikes; address unfair import duties affecting our bicycle industry; invest in cycling infrastructure for our national parks; ensure that the Trans Canada Trail and other trails are safe for cycling and walking. The federal government has already recognized its role in protecting vulnerable road users. It must now step up and inspire Canadians to make our communities, large and small, places where people of all ages and abilities can get around actively on a daily basis. We need a federal champion! Sign this petition on creating a National Cycling Strategy today!